Discussing the state of sustainable plastics, particularly film, requires the separation of hype and hope from reality. On the consumer side, brand owners must continually weigh the pressures of customer demand for recyclable packaging and products with the requirements of processing, performance, and aesthetics. Adoption might come easier on the industrial side, where appearance isn’t always as much of a concern but here, too, performance varies based on processing factors. And inevitably, underlying the quest for “green” plastics is the bottom line, the real green: the potential absence sted lack of cost incentives to use recycled film primarily polyethylene-based (PE) and the opportunities for growth. Serving high profile brand owners are on the frontline of film and resin makers engaging in varying degrees of recycling and recyclable film products. Among those taking a 360-degree approach is Petoskey Plastics in Petoskey, Mich., which has been recycling since 1978 and recently invested $8 million in a new washing system at its facility in Hartford City, Ind. Petoskey turns out more than 30 million pounds a year of postconsumer recycled content with its in-house sorting, cleaning, and re-pelletizing operations. Petoskey converts 90 percent to 95 percent of the postconsumer content it receives into three-layer PE films in which the outer two layers of virgin material surround a center layer of up to 70 percent recycled material. These films produce everything from kitchen trash bags and drum liners to contractor. 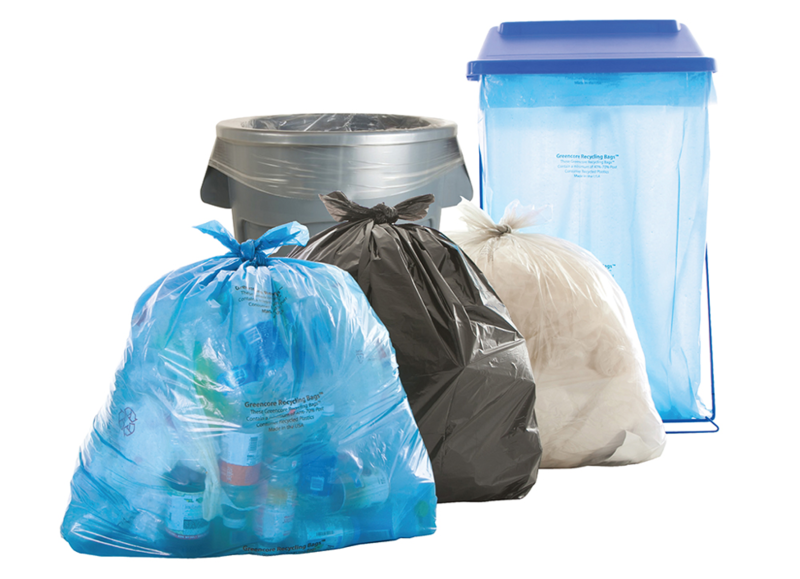 Bags, construction sheeting, and even medical biohazard bags. Depending on their needs, customers will request Petoskey films with varying percentages of postconsumer material in the center layer; some might need as little as 10 percent to 15 percent. Customers committing to using Petoskey films featuring 70 percent to 100 percent postconsumer material accept the slight variations in coloration or imperfections like bump or grain but performance does not diminish, Keiswetter asserts. 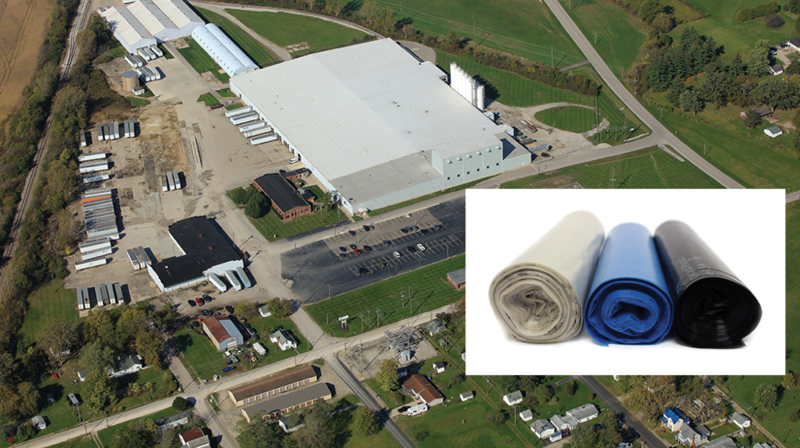 Petoskey Plastics recently invested $8 million in a new washing system at its facility in Hartford City, Ind. Petoskey turns out more than 30 million pounds a year of post-consumer recycled content with its in-house sorting, cleaning, and re-pelletizing operations. Courtesy of Petoskey Plastics. Some Petoskey customers collect and return their bags and films for reuse after their initial use has been fulfilled, creating a closed-loop system. For new customers, this approach can be daunting, Keiswetter says, requiring commitment from every facet of a participant’s operation. The cleaner the material customers return, the higher price customers fetch and the better pellet Petoskey can provide. Petoskey Plastics offers three-layer films featuring a center layer of up to 70 percent postconsumer plastic. Courtesy of Petoskey Plastics.